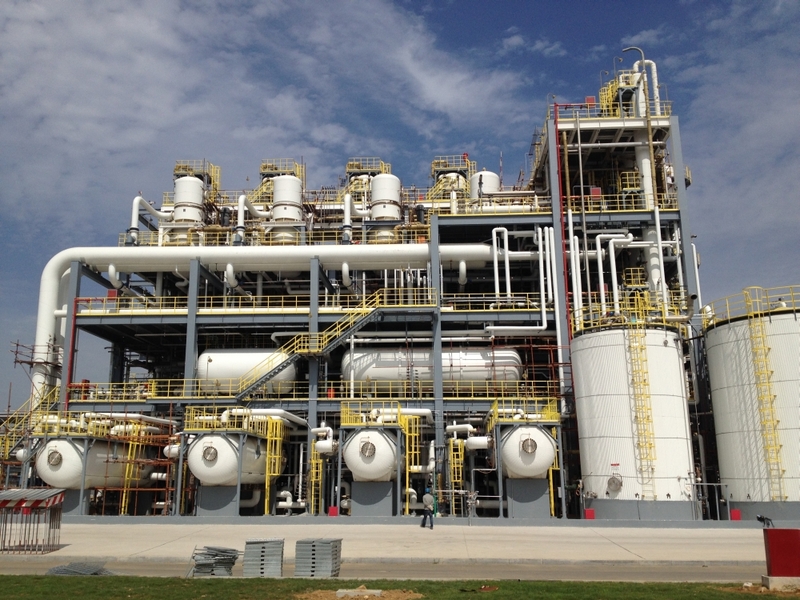 Fourth MNB Plant for Wanhua – NORAM Engineering and Constructors Ltd.
NORAM’s proprietary technology for the supply of mononitrobenzene (MNB) has once again been selected by the Wanhua Chemical Group for implementation at the Yantai, China integrated chemical complex. The plant is the second NORAM plant at Yantai, bringing to four the total of NORAM plants procured by Wanhua. The new plant will be a near copy of the existing NORAM plant at Yantai, with a nameplate capacity of over 530,000 metric tonnes per year (MTPY). Once commissioned, the Wanhua Chemical Group will have more than 1,500,000 MTPY of installed MNB capacity using the NORAM proprietary technology, with ~1,000,000 MTPY at Yantai and ~500,000 MTPY at Ningbo. Wanhua is China’s number one producer of MDI and is in the top three globally. NORAM completed basic engineering for the new MNB plant earlier this year and is currently fabricating proprietary equipment. A fundamental aspect of the plant design is the tailoring of MNB product purification to meet specific client needs on effluent treatment. As in the past, the new plant will utilize NORAM’s latest purification technology, providing Wanhua with a production cost advantage. The additional MNB capacity will be used to make aniline, and ultimately MDI. With the MDI capacity already in place, the new plant will help complete the reverse integration of the Yantai complex and ensure an efficient and secure supply of MNB.